The photos were taken in Tyson's Corner, VA. They were taken on December 9, 2013 at 11:15 am. The "Take It!" came from driving most of the morning in the remains of what was brought by the first winter storm of the year. 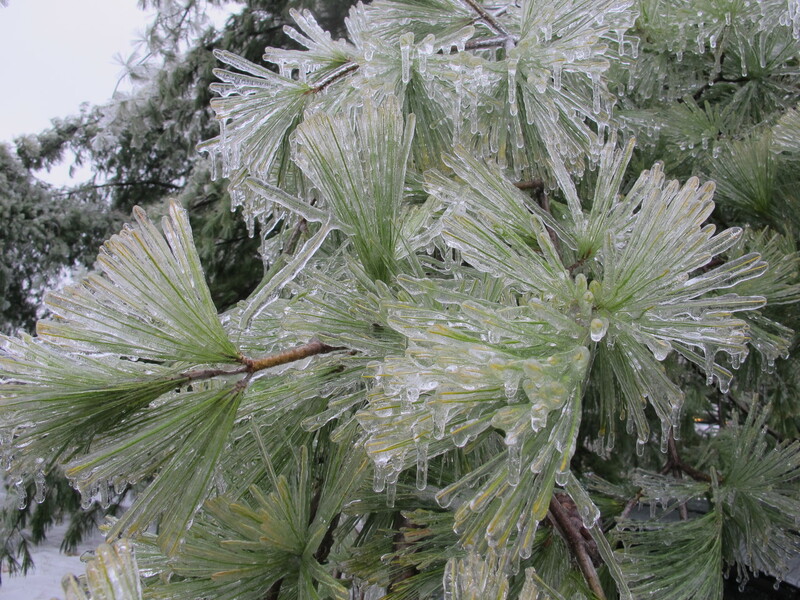 I happened to be passing through a parking lot that had some pine trees that had branches covered in ice. The weight of this ice bent some of the branches low enough that they were at window height on my car. 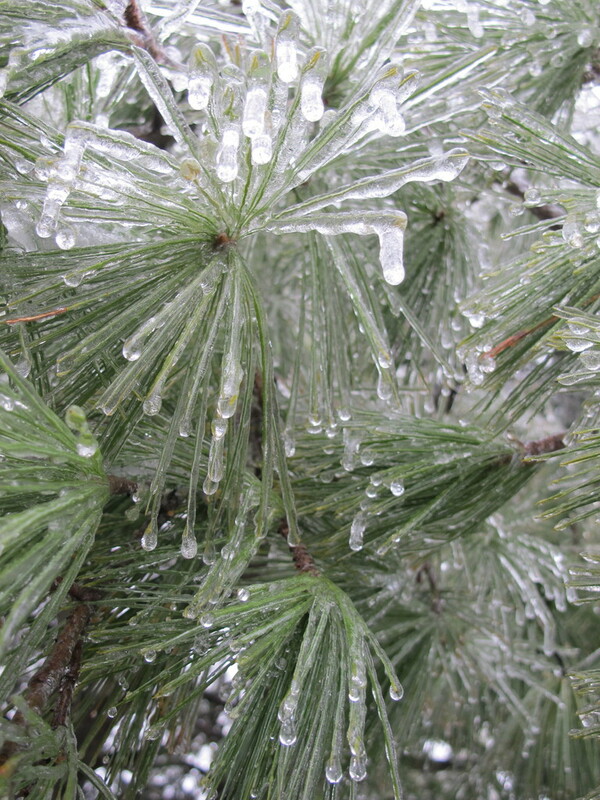 Something about the ice encased green pine needles caught my eye as it was such a color contrast to the other trees that had given up their leaves and thus all that remained was very dark bark that just does not jump out at anyone. I actually did a pass by and a back up to gather these photos. I got out of the car and shot a group of photos then left for another regular stop and luckily found yet another pine tree that had long needles and seemed to be just a little bit more full than the first tree. 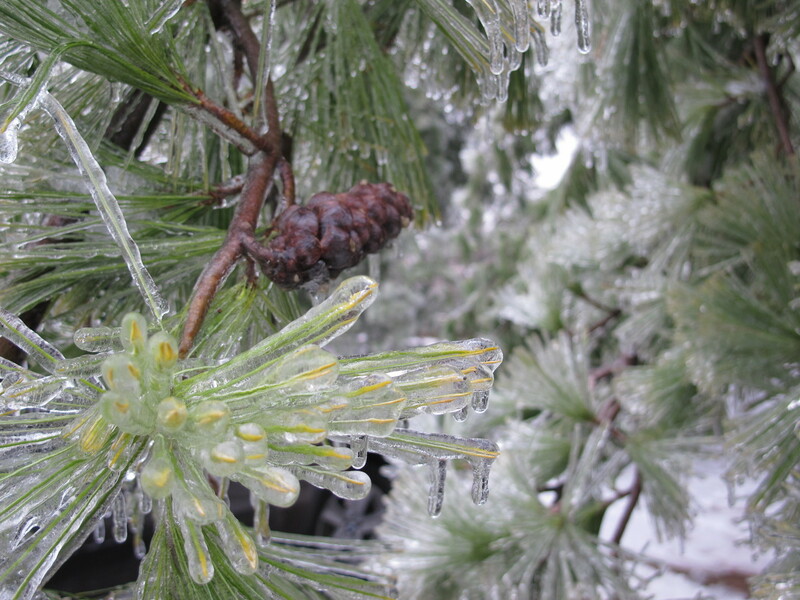 The configuration of the ice covered needles gave much of the tree an almost flower like appearance. The After Take: found those that I showed the photos to quite taken by the beauty that had evolved from this common and often overlooked variety of tree. The pine tree suffers ( if you will ) from a year round case of same old, same old, I guess that is part of why they are called " Evergreen " No spring blossoming nor fall colors - just that reliable green that most of us know very well. I do not think I have ever heard of a shade of green named after the pine tree. So, everyone seemed to be quite pleasantly surprised to see some glamour come its way. Here is hoping you enjoy this wonderful sight as much as I do. I know I keep saying how many of these photographs are gifts to me for the purpose of sharing - but once again this is very true. Regardless of what religion you believe in - or even if you have no religion - here is wishing you and yours great cheer during this time dedicated to good will. That is gorgeous. Looks super cold though! 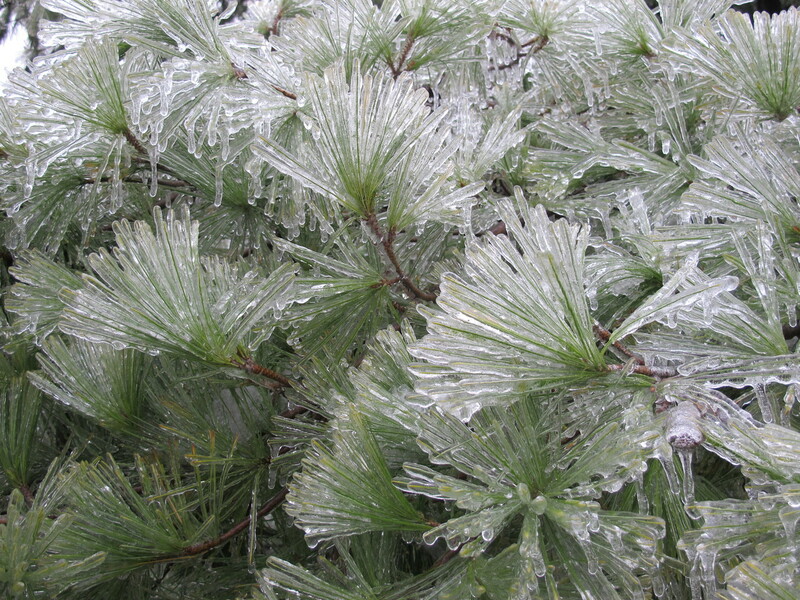 It is amazing that even when covered in ice the pine needles survive.